Our online Spanish course is currently composed of 5 different levels, including survival Spanish for beginners or travelers. Each level has 10 lessons. Higher levels include grammar videos, immersion travel videos, podcasts, and exercises. The European Spanish Levels outline 6 alpha-numeric levels – A1, A2, B1, B2, C1, C2 – with level C2 being native fluency. We’ve incorporated these numberings in our program. Follow the links below to go to a particular level or lesson. 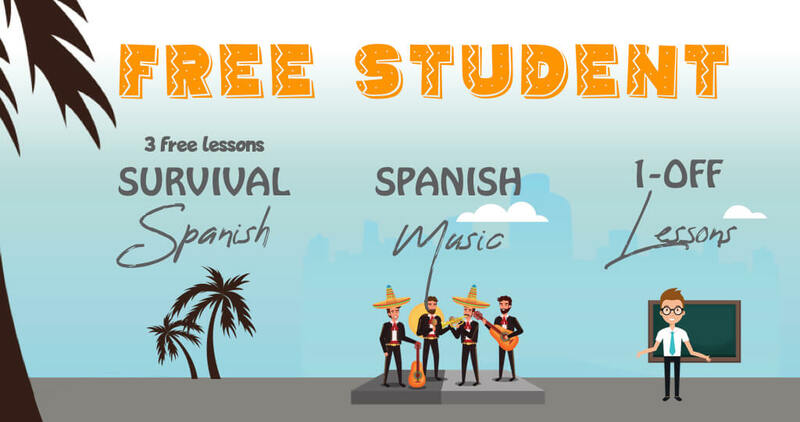 Get the 1st 2 Lessons Free! The final 10 videos of the A1 series go a little deeper. Now that you have the hang of it we’ll add a few new tenses and grammar concepts. Meanwhile, travel with us through Granada, the birthplace of flamenco, in southern Spain. Moving right along, now it’s time to dive into the past tense with the next 10 lessons. Do it all while exploring the very international city of Barcelona, Spain.